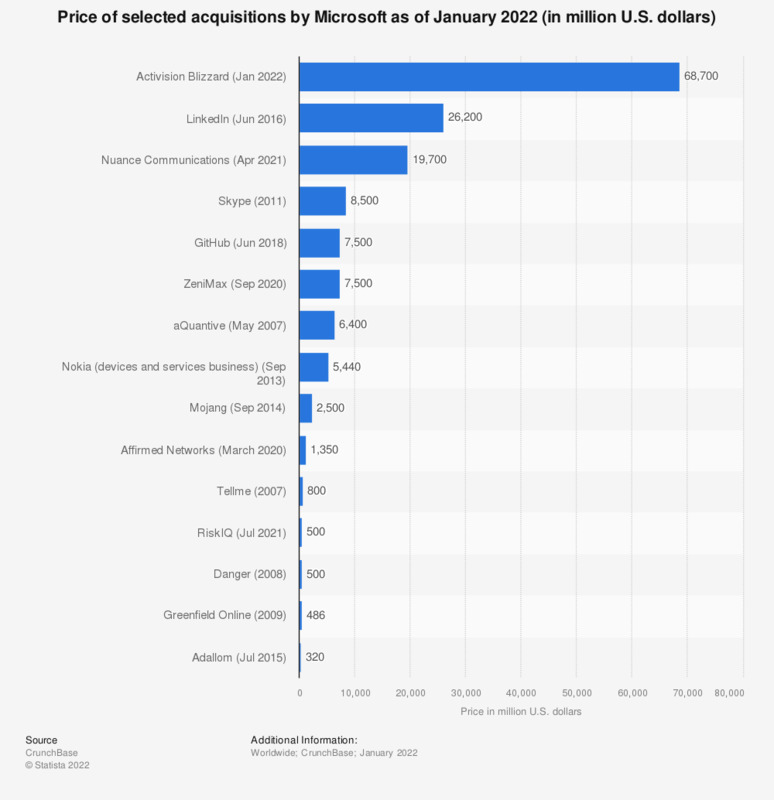 This statistic shows a selection of companies Microsoft has acquired since 2002 and their respective price. In September 2014, Microsoft acquired Swedish game developer Mojang for 2.5 billion U.S. dollars. Mojang is the creator of the successful Minecraft game. The company's most expensive acquisition was social business networking platform LinkedIn in 2016 for 26.2 billion U.S. dollars. Data available until July 2017.